With genuine objectives to stand tall on the demands of our prestigious clienteles, we are immersed in presenting to our patrons world class Two Wheeler Parking Cover. 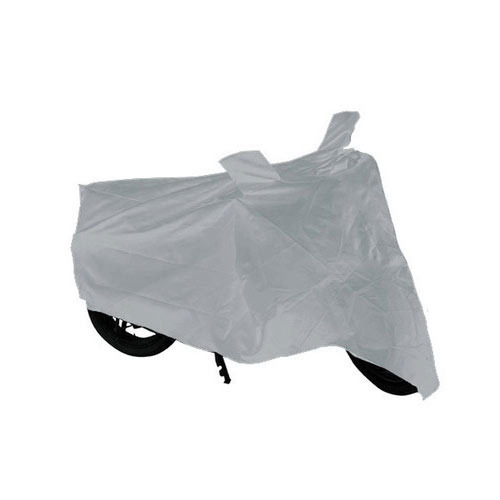 Established in 2009, We, Shree Enterprises is amongst some of the eminent names engrossed in Manufacturing a wide variety of products including Two Wheeler Seat Cover and Two Wheeler Parking Cover. Known for their supreme quality, perfect sizes and cost effective rates, these are broadly cherished and appreciated in the industry. Fabricated making use of pristine class basic material along with sophisticated tools and tackles, these offered garments could be acquired from us in a range of sizes, patterns and designs to select from. In addition, these are inspected thoroughly prior getting delivered at the end of our customers so as to preserve their flawlessness and ear their trust.